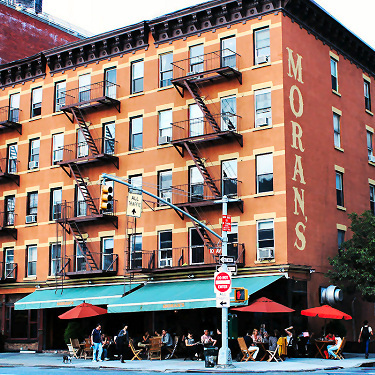 Moran’s, a Chelsea restaurant that closed its doors in 2015 after more than 70 years in business, has settled a lawsuit regarding alleged unlawful pay practices for its tipped employees. Moran’s will pay $912,500 to more than 270 employees who worked at the restaurant from 2008 to 2014. The settlement is an excellent outcome for the workers who worked there as servers, bussers, and bartenders. The lawsuit alleged that the waiters, waitresses, bussers, and bartenders at Moran’s were paid at the tipped minimum wage without receiving adequate notice of the tip credit. Additionally, workers alleged they worked more than 40 hours per week without receiving the appropriate overtime wages. Federal and New York State law provide that a restaurant can take a “tip credit” towards its minimum wage obligation and pay its employees at the tipped minimum wage only if the restaurant provides notice to the employees first of its intention to do so. The workers also claimed that Moran’s did not pay them spread-of-hours pay when they worked more than ten hours a day, and did not give them required wage notices and adequate wage statements. Vivianna Morales, an attorney with Pechman Law Group, was the lead attorney on behalf of the workers at Moran’s.